1. With metal and plastic shells for your option. 3. 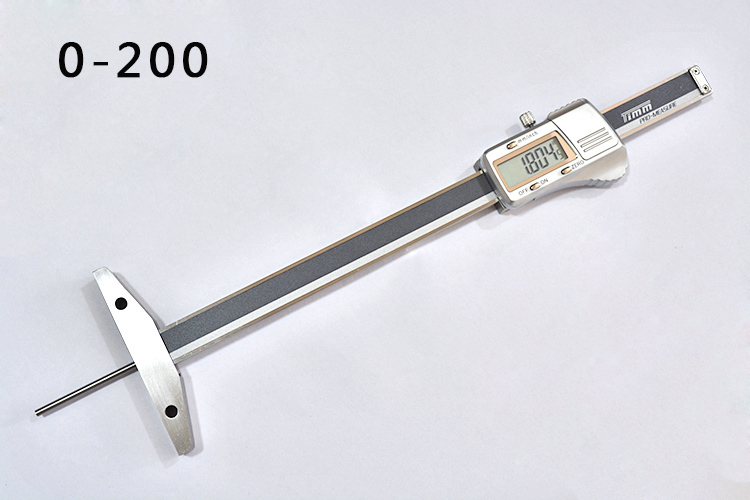 The positioning surface is widened to 85mm and 10mm thickness, making it more stable. 5. Two extension base holes are added on the base surface, making it convinient to extend the base surface to measure the workpieces with wider end faces. 7. IP54 waterproof series and IP67 waterproof series can be customized for the various measuring environments. 8. 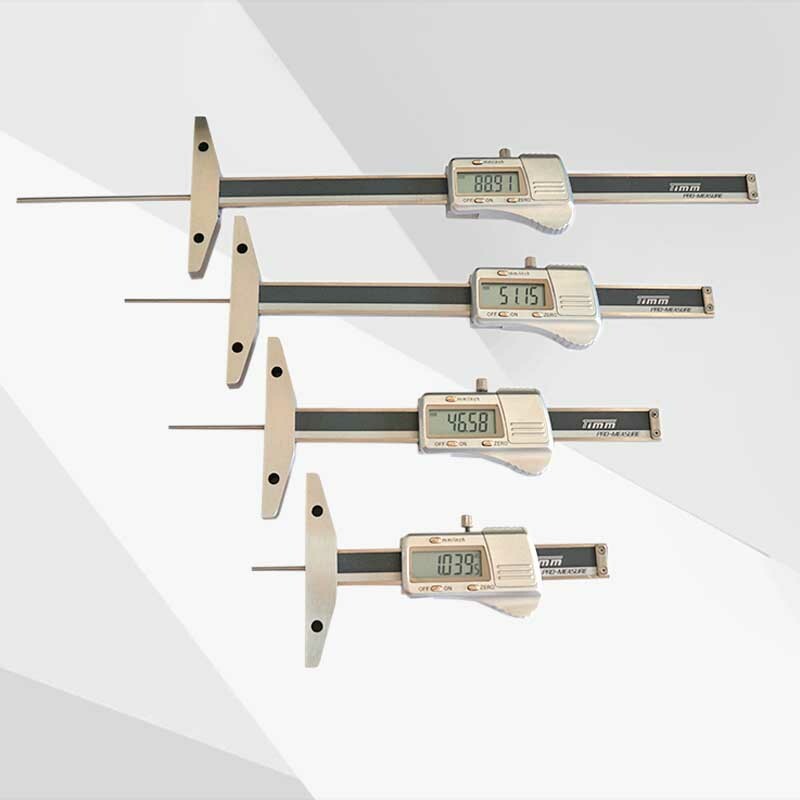 The base surface is designed with a u-shaped door, which makes it easier to observe the position of the measuring rod. 9. 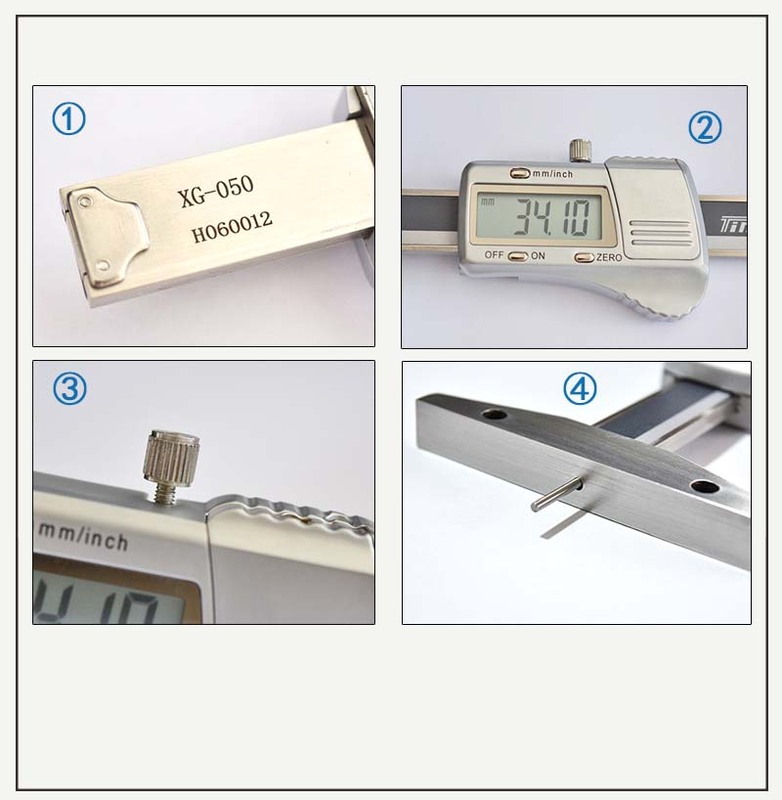 The measuring base is lasered a reference line for users to roughly positioning the measure point when needed. 10. Work with one SR44 battery. 11. Buttons: ON/OFF, Inch/mm conversion, Zero-setting at any position. 12. Large LCD screen, easy to read. 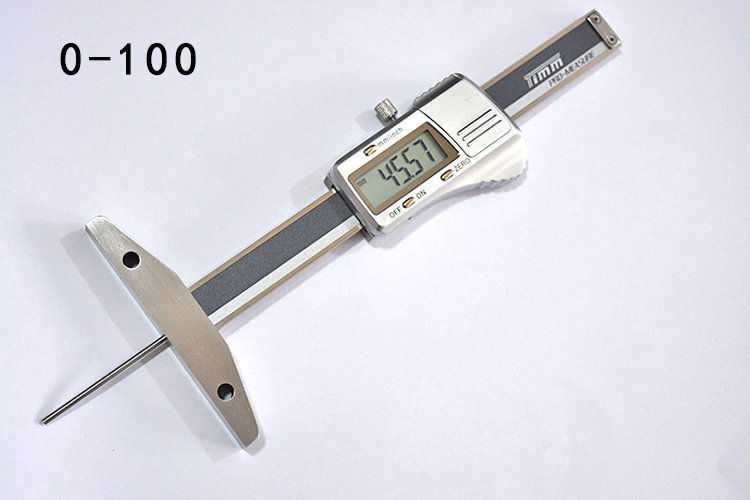 Mainly used for measuring the hole depth of mold injection, machining and vessel manufacturing.